It’s Ten o’clock. Do you know where your devices are? Remote MasterMind Device Management Software does! You know that between the first question and the last answer, something did happen. What would you like to do: (A) Spend the next hour asking questions and walking the user through 100 steps, (B) Hop in the car and go to the warehouse, or (C) Fire up Remote MasterMind on your computer and take control of the user’s handheld computer? 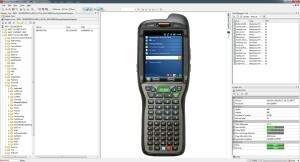 Honeywell’s Remote MasterMind (ReM) remote device management software gives you the ability to manage mobile computers, smartphones and barcode scanners in one site or across many sites. Not only can you take control of the devices, you can also control software revision levels, configurations and settings, and manage the assets. 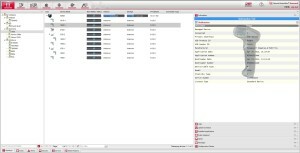 There are two facets presently available with ReM: scanner management and computer management. More options are in the works with later revisions, but let’s see what we can use now. 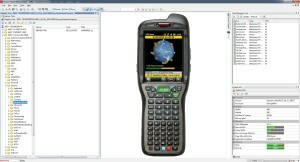 ReM for scanning provides a quick and convenient solution for management of all Honeywell scanners attached to PCs on your network. You can perform scanner management —asset tracking, software distribution, configuration management, diagnostic monitoring and performance measurement all from one portal or location. 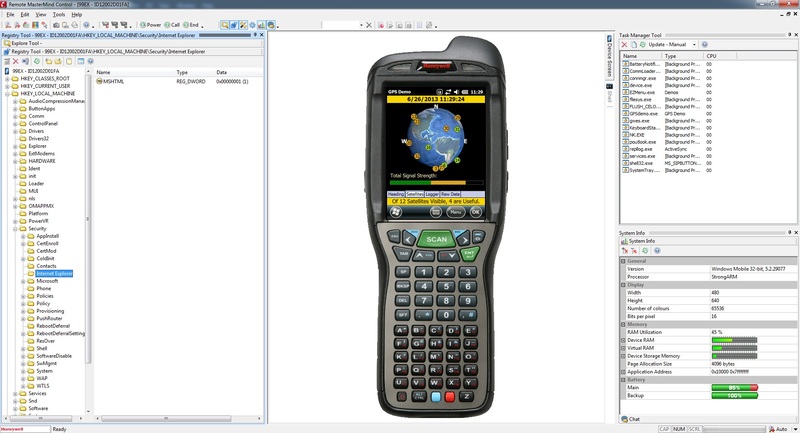 Check revision levels, configurations, firmware, abuse, failures, etc. For large deployments, it doesn’t get much easier–you don’t have to budge out of your comfortable chair. ReM for mobile devices allows you to perform a lot of your device management functions from a single portal or location. In addition to offering multi-vendor support of devices running WinMobile and WinCE operating systems, ReM can manage iOS and Android devices, too. With the BYOD trend, you now have the flexibility to deploy and manage disparate devices on your network. How does it all work? Magic…pure and simple magic. OK, I am stretching it a little bit, but it seems like it. ReM requires a small client or app to run on the mobile computer. It does not require additional firmware on data collection scanners (the firmware must be a certain revision level, and they must be Honeywell scanners/imagers—for now). The ReM console will discover the appropriate devices on the network. Once they are captured, you can have your way with them. You can also get as granular in your grouping(s) as desired. For example, if you want to segregate all iOS devices, all Android, all Honeywell HHP, all Honeywell Tectons, etc. as sub groups, it makes it easier to ensure that everyone is playing nicely in the sandbox. If you manage multiple locations, you can segregate on the upper levels, such as locations, as well. 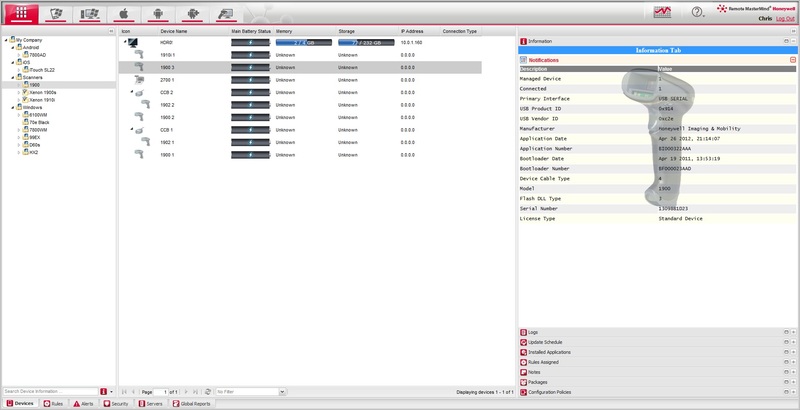 You can also manage devices that are out of your immediate WLAN network. If you have users who are making deliveries and have software issues, you can certainly take a peek at these. The only caveat is that they have to be in cellular (WAN) coverage. Ca pture statistics from the devices. Review the power and battery cycles. When was the device last used? Can you see the device (is it missing)? Manage your assets without a lot of guesswork. Know what you have, know where things are, and know what they’re doing. Make your life easier. If you would to know more about ReM, please contact L-Tron Corporation. Let’s talk about how you can simplify your life and find a way to manage the unmanageable.